Full HD Premium. 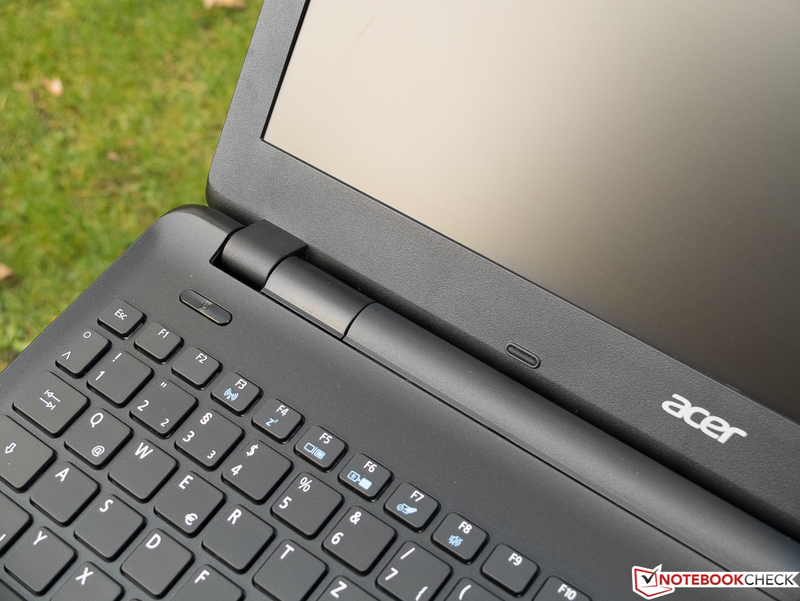 Acer attracts a lot of office users with its conservative, yet solid and powerful notebooks. Usually, the price-performance ratio is just right, but for this to be true for our test model, which uses the Intel Core i3-4005U and a Full HD display, the price would have to drop quite a lot. 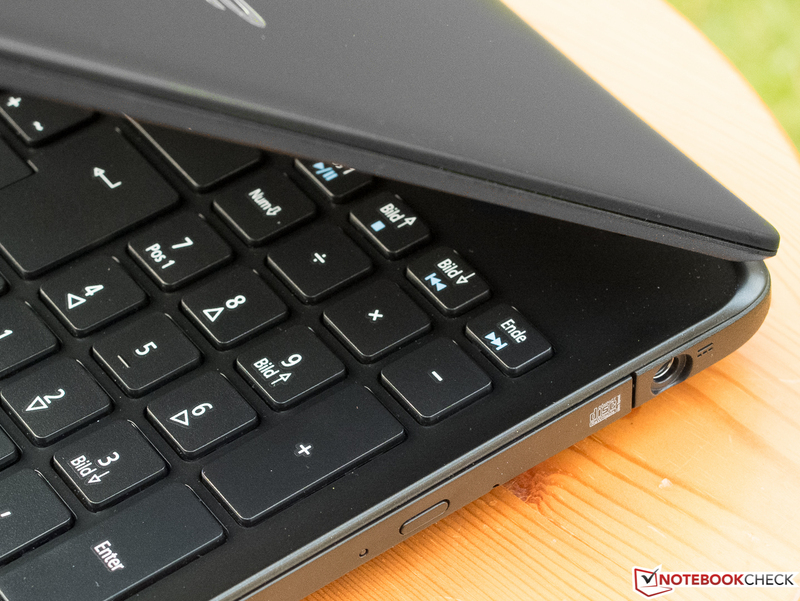 As is typical for Acer, the homepage of the TravelMate P2 offers various, mostly black, 15.6 and 17 inch models, which are quite similar in their case design and connectivity to our test model. 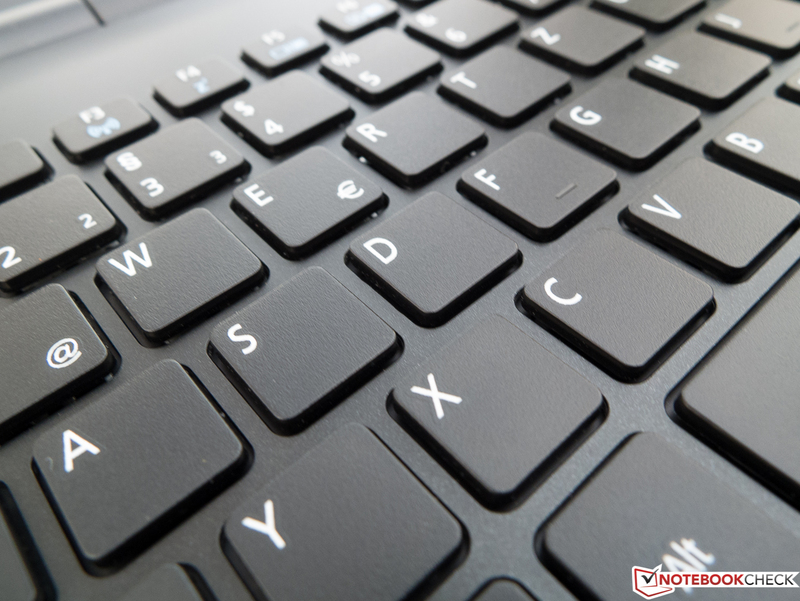 The difference lies in the hardware of each model, as they can be equipped with i3-, i5- and i7-CPUs, 4 or 8 GB RAM and various sizes of hard disk. A few models even have dedicated graphics cards from AMD or Intel and the buyer can choose between resolutions ranging from 1366x768 pixels to 1920x1080 pixels (FHD). 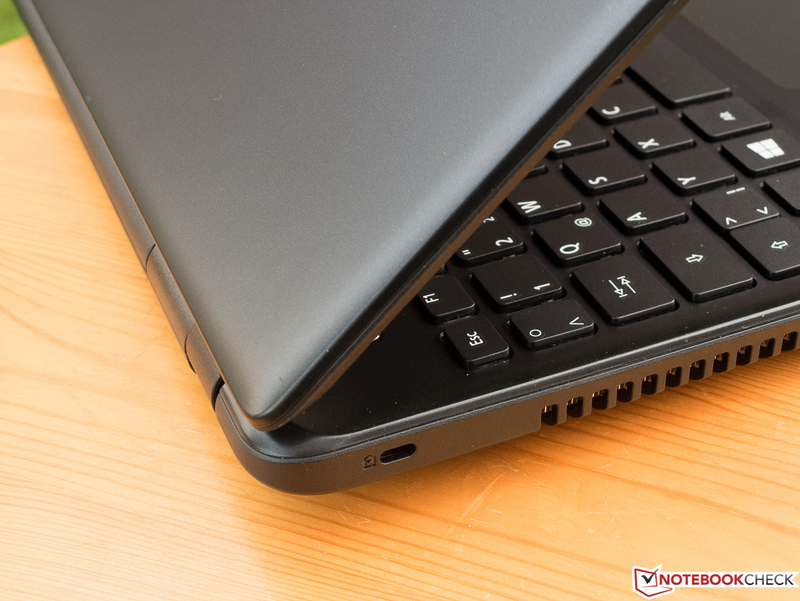 Our test model, the TravelMate P256-M-39NG (15.6 inch inch, NX.V9MEG.005) is equipped with a matte FHD panel, Intel Core i3-4005U (2x 1.7 GHz, Hyperthreading, TDP 15 W), an HD 4400 IGP, 8 GB of RAM, standard 500 GB hard disk and DVD burner. This configuration is not available on the homepage of the test model, but many retailers offer it for prices starting at 599 Euros (~$747). 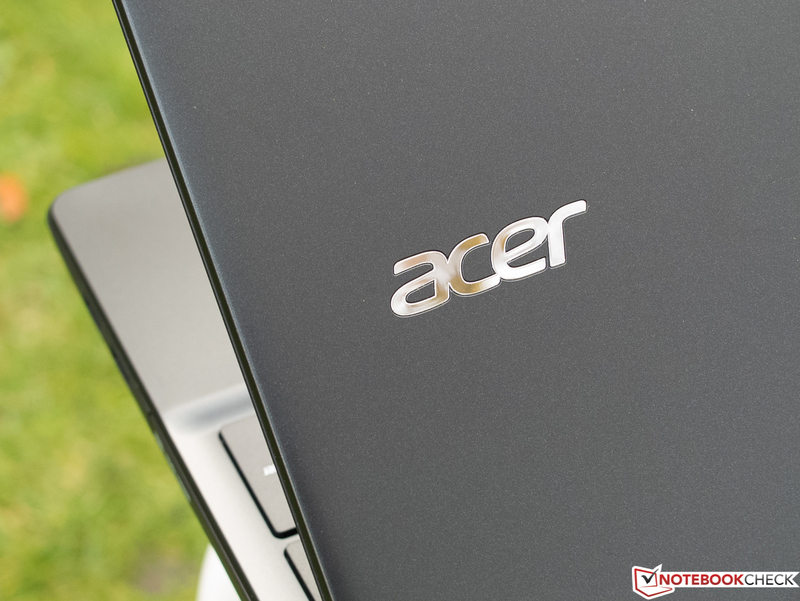 Here we have to wonder: similar notebooks, but with a resolution of 1366x768 pixels, are available starting at 400 Euros (~$499), even from Acer themselves. As such, why does our test model cost so much more? Is it worth the extra money to have a higher resolution? We will find out in our in-depth review. The search for similar devices was not easy. We chose two 15.6 inch models which had similar prices and also use FHD displays with an optical drive. 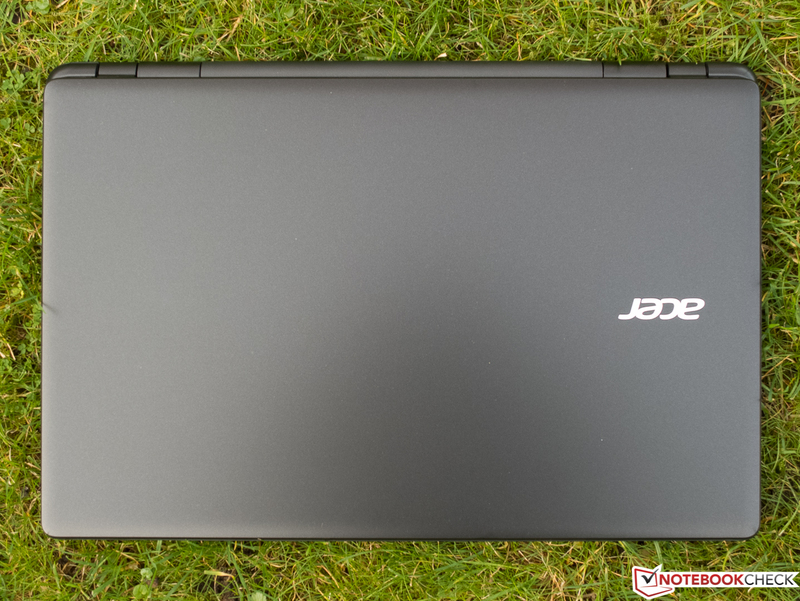 The Acer TravelMate P455-M-54204G50Makk runs on an i5-4200U (2x 1.6-2.6 GHz, Hyperthreading, TDP 15 W), which has an HD 4400 IGP, and can run at 1,000 MHz (Turbo mode) is about 50 MHz faster than the standard IGP. The P455-M sets itself apart from the test model with its security features, like the TPM chip and the fingerprint reader. It weighs 2.4 kg (~5.3 lb) and is slightly lighter than our test model. The contender is 5 mm (~0.2 inches ) slimmer, and costs around 50 Euros (~$62) more. The Lenovo B50-70, costs roughly the same amount as for the P256-M. For this price, the buyer will get an i5-4210U (2x 1.7-2.7 GHz, Hyperthreading, TDP 15 W), with the dedicated graphics card from AMD Radeon R5 M230 with 2 GB memory, and a 1 TB HDD. 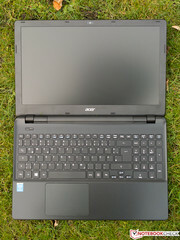 The measurements and the weight are similar to those of the Acer P455-M. The connectivity of all three models is quite similar. 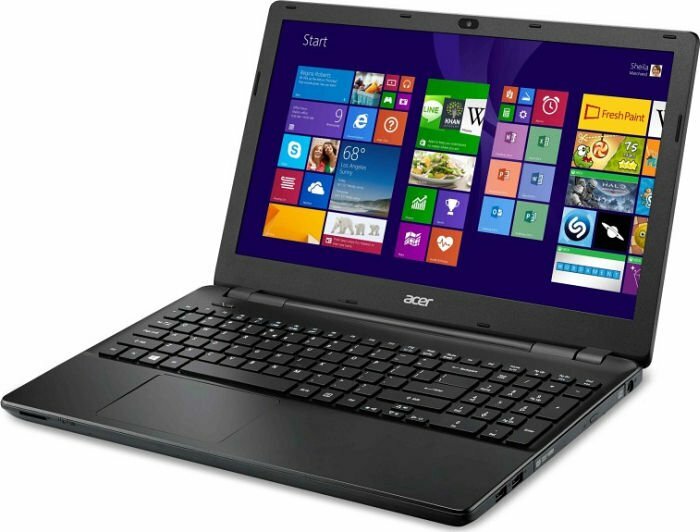 Acer offers conservative, yet sturdy laptops in the lower price ranges. These are usually black and hard to distinguish from each other. This is the case with our test model: matte, simple synthetic surfaces, which can get dirty with fingerprints but are easy to clean. 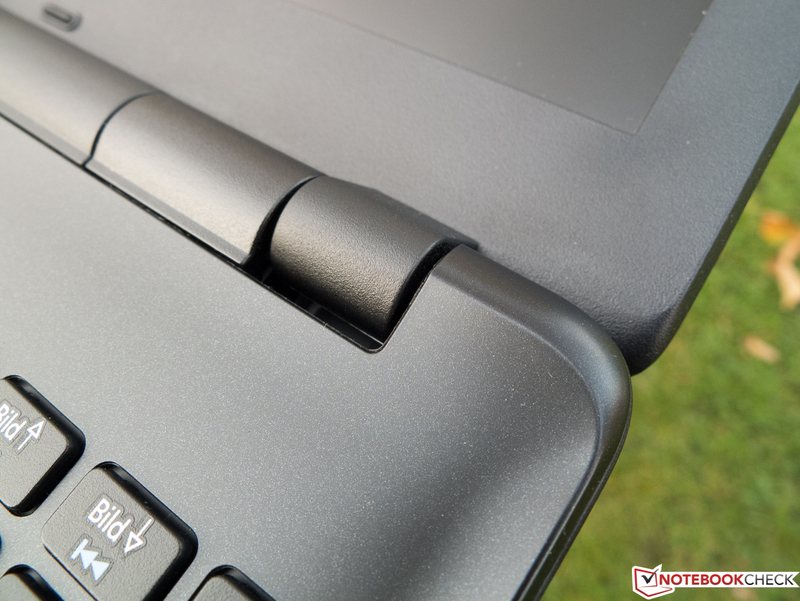 The display border, laptop bottom and hinges have a stronger texture, providing a good grip during transport. The base can be pushed inwards with a little force and makes slight creaking noises. The display cover is not as resistant, but it can be opened with one hand. When bumped, the cover can open further, but it will not swing much. We did not find any workmanship flaws like uneven gaps, sharp edges, etc. The design of the manufacturer is simple, so if you are looking for a fancy or interesting design, look elsewhere. 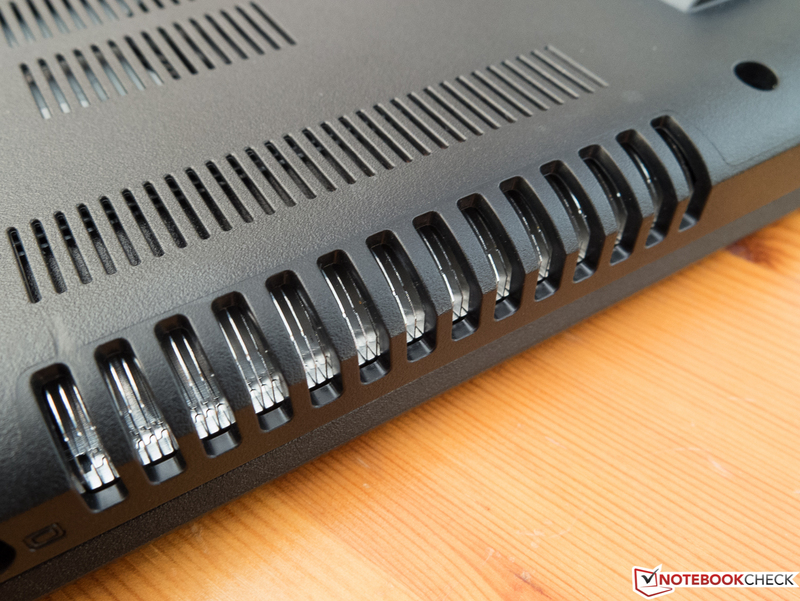 Standard case, standard connectivity: although everything we normally need, including VGA and Ethernet, are provided, special ports like eSATA or DisplayPort are missing. Of the 3 USB ports, only a single one is compliant with the USB 3.0 standard, which is unfortunate, especially at this price. 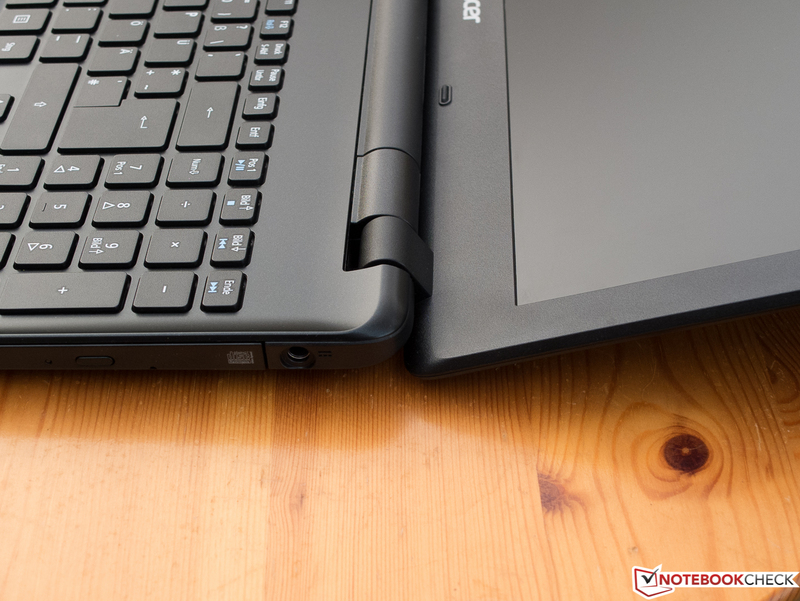 As is typical for cheap Acer notebooks, the ports are primarily placed near the front with sufficient spacing. However, the use of an external mouse and other USB devices simultaneously can lead to collisions or a confusing salad of cables. The USB 3.0 port reaches transfer rates of up to 95 MB/s. The WLAN module supports the IEEE 802.11 b,g,n, standards, which only operates on the 2.4 GHz frequency. 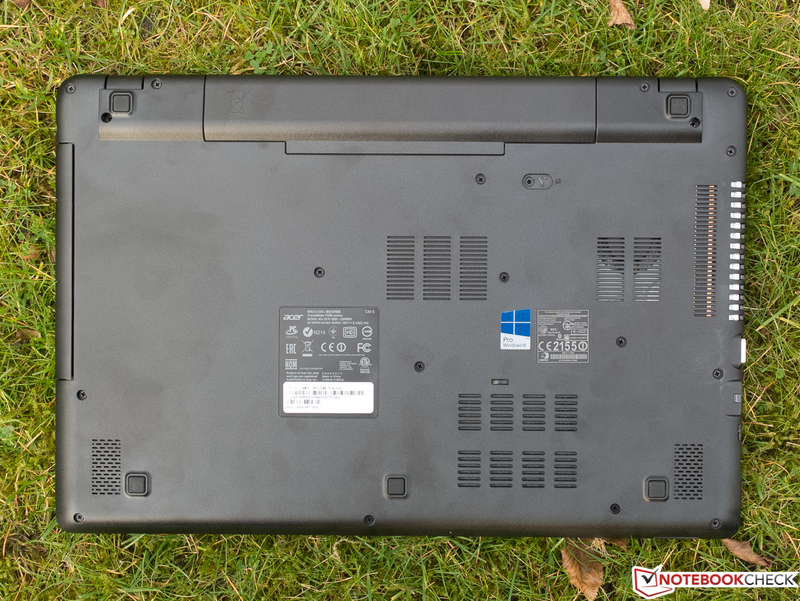 The laptop uses Bluetooth 4.0. In the individual test setup of the author, the reception quality was not impressive. The wireless module works fine at a distance of 8 meters (~26 ft; with two walls between it and the router). However, as the distance steadily increases (and more objects come between the two), the speed drops radically and far more than in other notebooks tested so far. Besides the usual operating and warranty information, Acer provides two identical power adapters. This is quite practical if the laptop is to be used in two locations often, for example, at home and in the office. There are no recovery media. The battery can be easily removed, but that is the limit of user-friendly maintenance access. 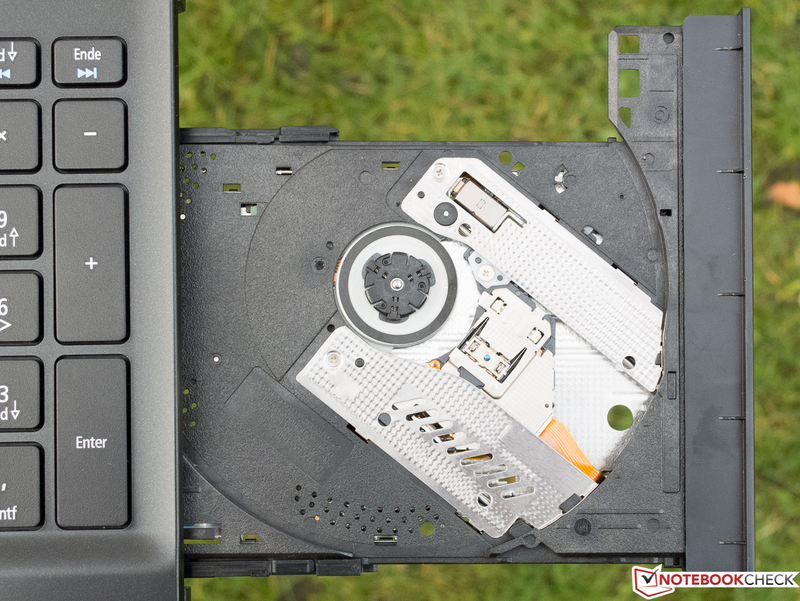 If you want to clean the fan, upgrade the RAM or just sneak a peek at the insides, you will have to remove the bottom of the laptop which is secured with multiple screws as there is no maintenance flap. However, this could void the warranty. 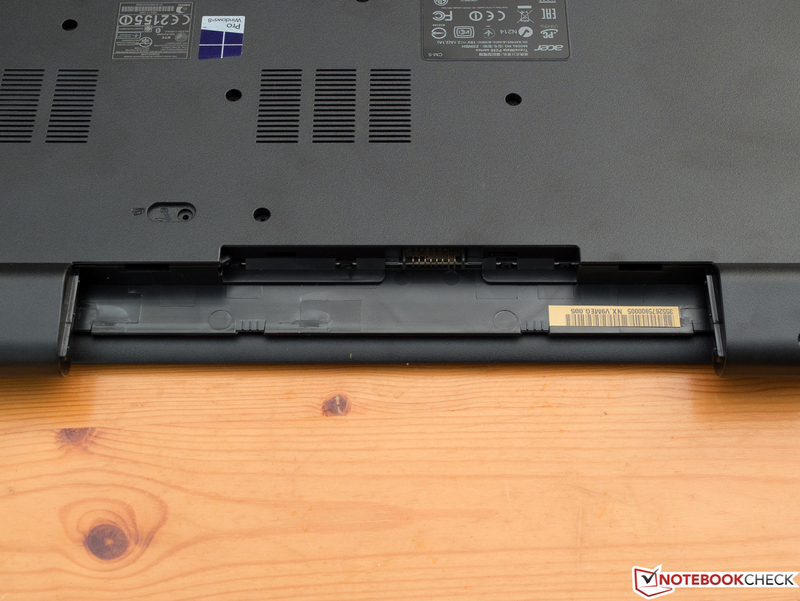 The bottom runs up to the front edge of the laptop which can lead to problems while removing it. 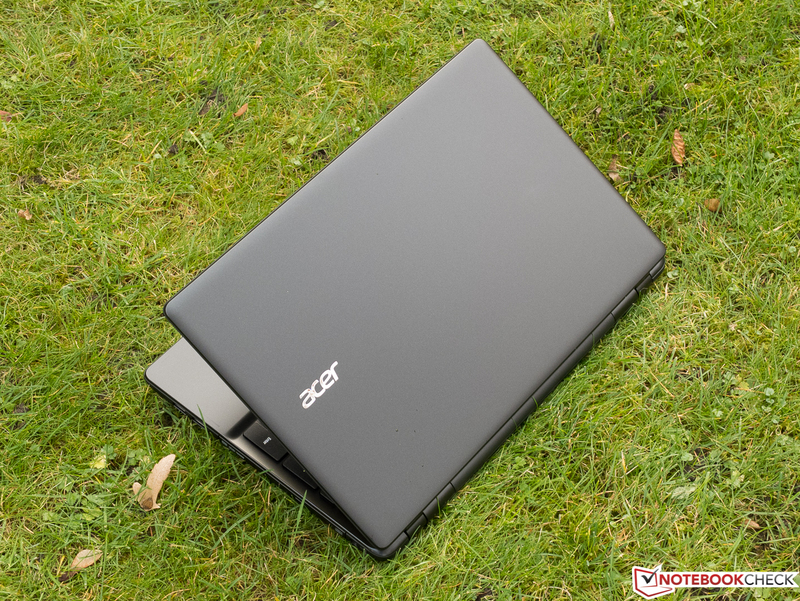 Acer provides a standard warranty of 24 months, within which period the laptop can be sent in for repair (carry-in). 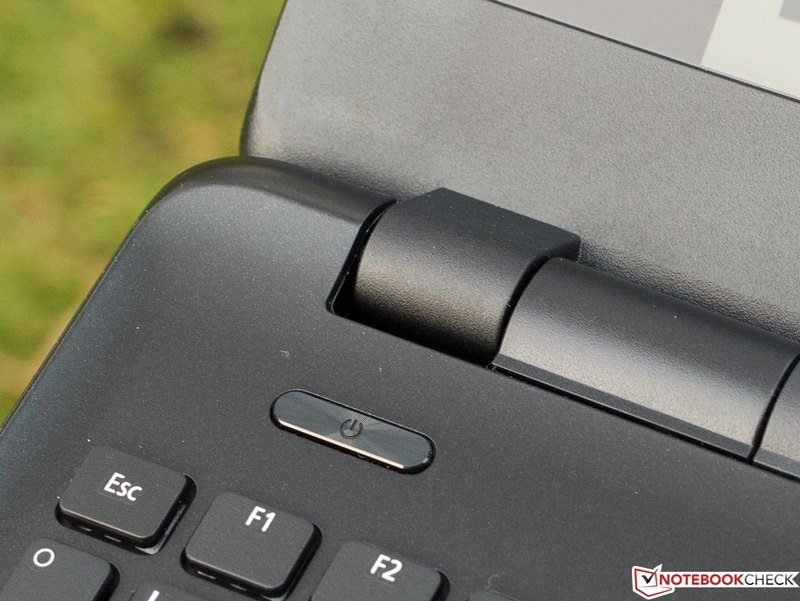 Acer uses the Synaptics ClickPad V8.1 which has no separate keys. It recognizes up to three fingers simultaneously and offers sufficient options for configuration in the menu of its driver. The touch surface is sensitive up to the edge of the case which the tester did not like, but it is a matter of preference. Fast movements are recognized without issues and the response and precision give no reason to complain. We had to raise the sensitivity of the touchpad to move around comfortably, but once an external mouse was connected, the sensitivity was too high. 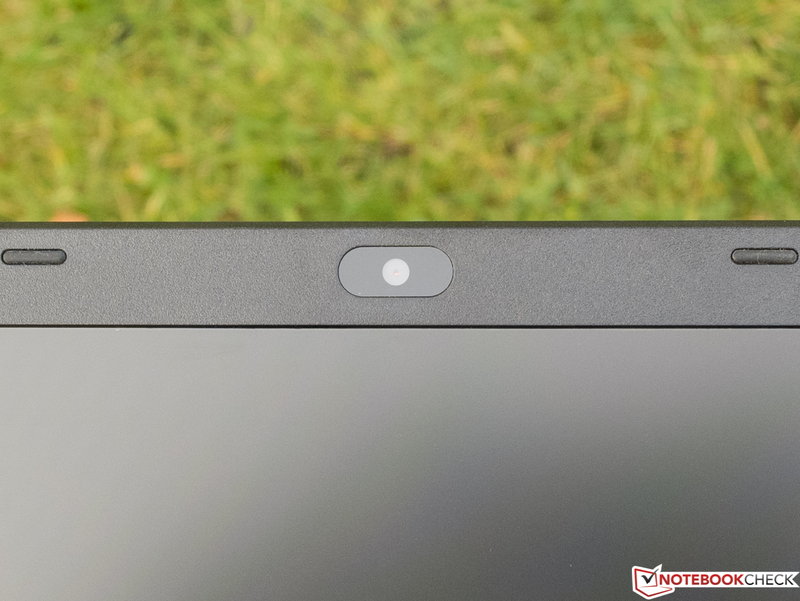 The touchpad can be clicked anywhere and only recognizes clicks as right clicks in the bottom right corner of the device. 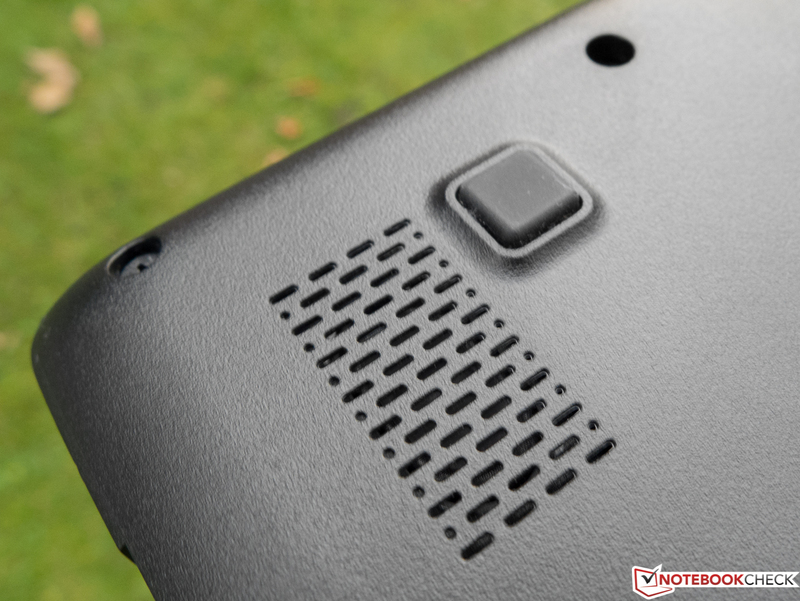 The pressure point is crisp (ideal for the tester) and the acoustic feedback is clear. We would have liked to have backlighting for this price, but the caption of the flat, slightly rough keys is clearly legible. 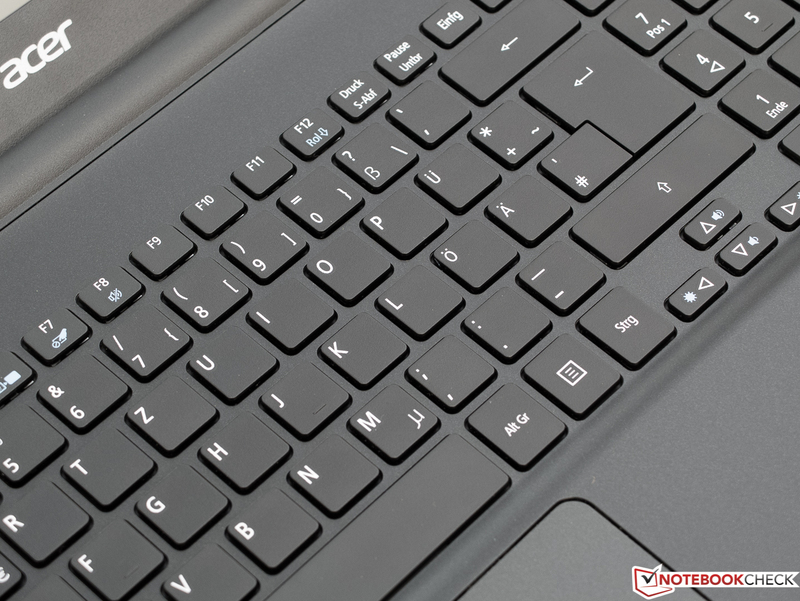 The special keys which can be used with the Fn key provide control of the volume, brightness, etc. Status LEDs for Caps Lock and Num are missing. The stroke distance is decent for a notebook and the pressure points are good. The impact is slightly buffered. Overall, typing causes little noise, with the exception of the noisy space key. This may not be an amazing ThinkPad keyboard, but it should be sufficient for typists. Acer definitely feels that the matte Full HD display (16:9) is worth the price hike. 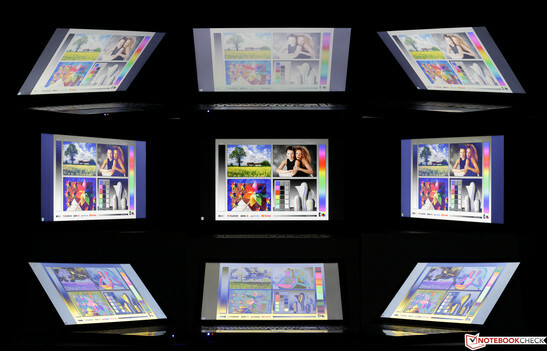 The display uses the cheap TN technology, which typically offers poor viewing angles and the brightness mark of 250 cd/m² is barely reached by the TravelMate. The laptop offers this brightness on battery mode as well. The measured illumination of 82% is not worthy of praise, but we did not detect any bright spots when our screen was completely dark (RGB 0,0,0). Sadly, the screens of the two comparison models are far too dark, as they offer only 200 cd/m². 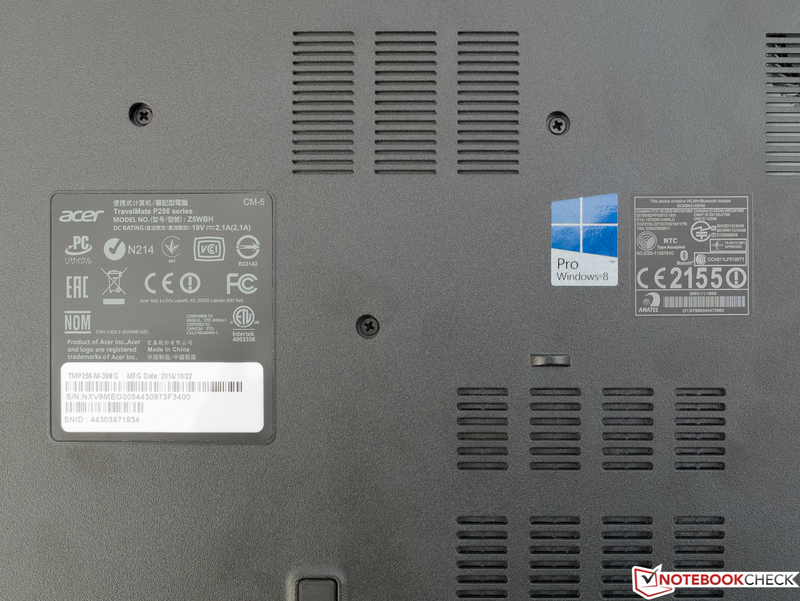 The black value of 0.66 cd/m² is far too high and as a result the laptop has low contrast of 352:1. A matte black is not discernible by the human eye, but admittedly this attempt is made harder by the below-average viewing angles. 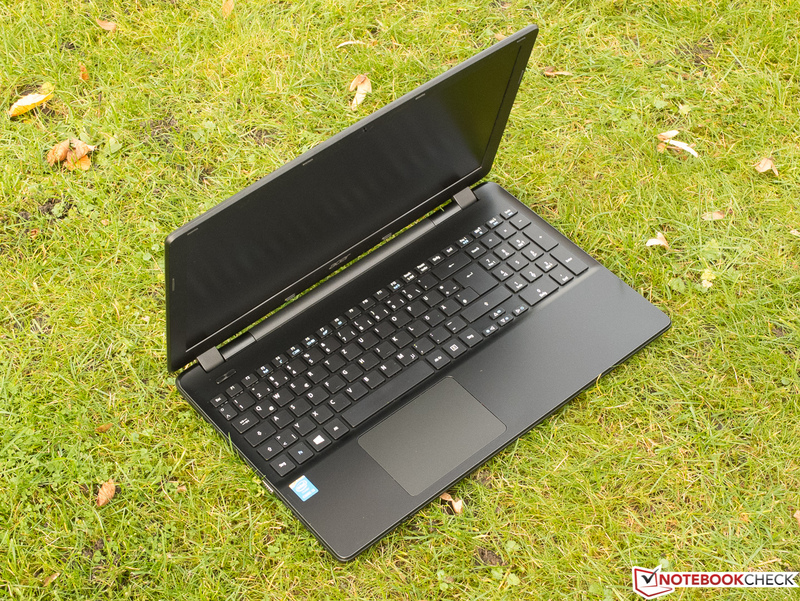 Despite having a slightly better black value, the TravelMate P455-M offers a similar contrast as our test model, whereas the Lenovo fails completely. DeltaE values of 10 are sadly standard for TN panels, but our test model reaches 12 to 13 which is quite awful. However, the two competitors do not offer much better. The display suffers from a strong blue tinge. 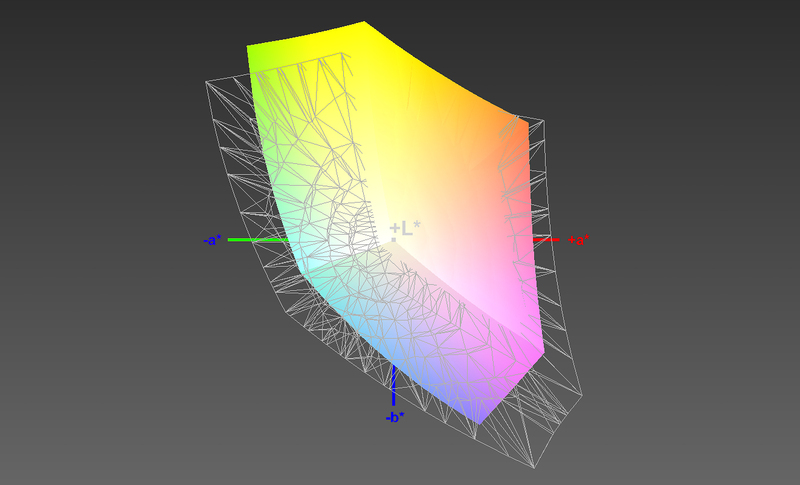 A profile using CalMAN colorimeter was created and is provided below. The gamma values of 3.09 in our test model are too high and should be around 2.2. We find the sharpness to be satisfactory: at times the image seems a little blurry. The color coverage of 53% of the AdobeRGB color space is decent as the best TN displays achieve 60%. Overall, the panel of our test model is really good amongst the poor TN panels. We tested the legibility of the panel outdoors when it was slightly clouded. As the max brightness is not very high, we already had issues in the shadows, but with a little effort and the right positioning the panel is legible. The viewing angle stability of the AU Optronics panel leaves a lot to be desired. The typical TN issues which appear at skewed viewing angles, like inverted colors from below or the milky veil which covers the panel when looking from above, are especially strong in our test model. If you cannot come to terms with this, then you will have to constantly adjust the panel to an optimal position. 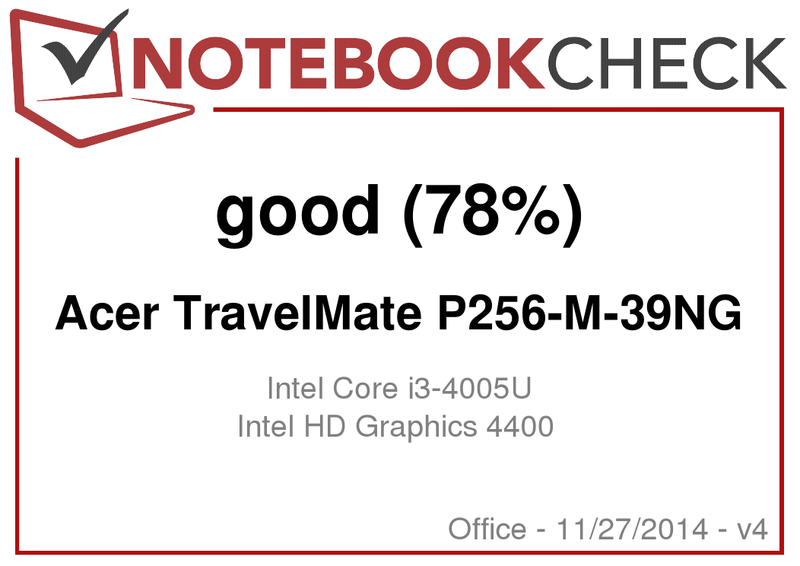 The Intel Core i3-4005U and the DVD burner make the TravelMate P256-M ideal for office or multimedia use, as the performance will suffice for most tasks in these areas. However, demanding Photoshop sessions or 3D rendering software will push the laptop over the edge. The Intel HD 4400 IGP is far too weak to run the latest games, which has to share the single channel RAM with the CPU. The Core i3-4005U is one of the slowest processors of the Haswell generation. Thanks to Hyperthreading, it can process up to 4 threads simultaneously, but it has no Turbo, which means that the base clock speed of 1.7 GHz is also the max. The "U" in the name stands for ULV and hints at the low TDP of 15 Watts which makes the CPU suited for very slim and compact Ultrabooks. As expected, the Cinebench R11.5 places our test model behind the i5-ULV-CPUs of the Acer P455-M and Lenovo B50-70. In the multi-core test the i3 is beaten by nearly 50% by the competitors. In PCMark 8, the tests measure the CPU performance, taking into account the influence of the memory, HDD, the IGP and other hardware. As such, the test model can perform at a closer level to the TravelMate P455-M, also using the Intel HD 4400 (up to 1,000 MHz) IGP, than previously in the Cinebench tests. However, this difference will not mean much in everyday use. The 50% gap between our test model and the Lenovo B50-70 can be explained by the far more powerful dedicated graphics card, the Radeon R5 M230. The storage devices of the three laptops should have no influence on our test results, as they all operate at nearly identical speeds. Overall, the P256-M is fluid and can lag a little when running multiple programs. The system performance can be radically boosted by using an SSD. As mentioned before, the three HDDs operate at 5,400 rpm and lie at the same level in all tests of the CrystalDiskMark 3.0. Overall, they offer good performance, even if it is not great and the data speeds are much faster in higher performance HDDs such as the Hitachi Travelstar Z7K500 HTS725050A7E630 (7,200 rpm, +25%). 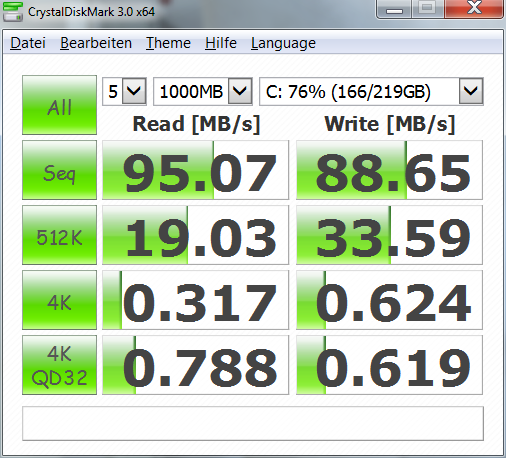 However, the same HDD achieves a 17% higher data transfer rate in the Dell Inspiron 15-3531. 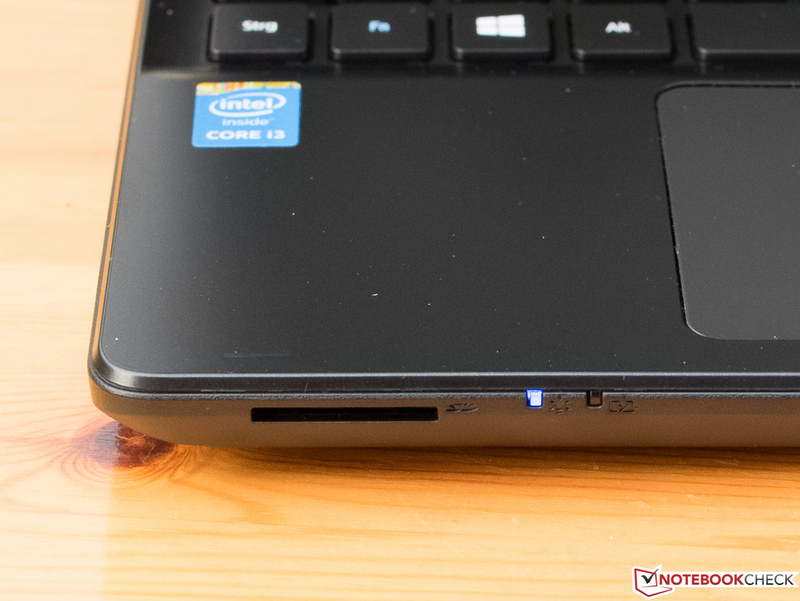 Reading various small files (4k, 4k QD32), like when booting the laptop or starting programs, is a hard task for the Seagate Momentus Thin ST500LT012-1DG142 in our test model. The same HDD performs up to 55% faster in other models. Overall, the performance of our storage device is underwhelming. 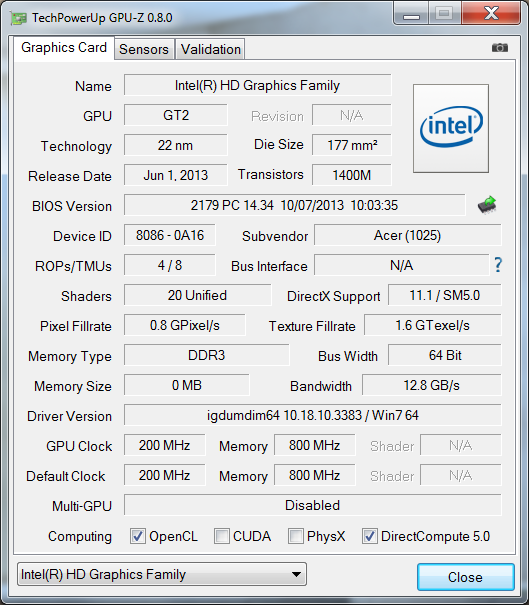 The Intel HD 4400 IGP runs at up to 950 MHz (Turbo). It has no RAM and shares the single channel memory with the CPU. The IGP supports DirectX 11.1, OpenCL 1.2 and OpenGL 4.0. In comparison with the HD 4400 IGPs of faster Haswell processors, the i3-4005U of our test model performs surprisingly well. The two low-speed cores of the CPU leave a lot of the TDP free for the IGP to use. The IGP has the higher priority which means at even load on the cores and the IGP, the clock speed of the cores will be reduced first. In the 3DMark 11 benchmark, both TravelMates perform at similar levels, whereas the B50-70 can set itself ahead by 57% for the above-mentioned reason. 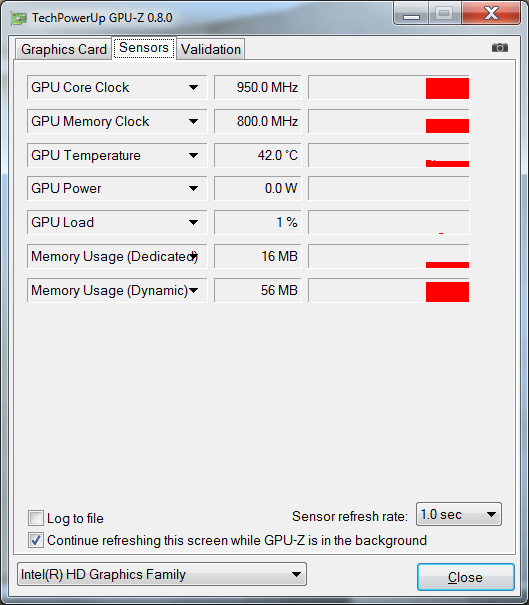 Surprisingly: regardless of what energy settings are used, the IGP always runs at 950 MHz — even while idling. Saving power must not be a priority. The TravelMate P256-M is not suited for the latest games. The relatively less-demanding Batman Arkham City (2011) runs only at minimum settings fluidly. FIFA 15 and Grid Autosport cannot run well with medium settings. Isometric games, like Diablo III and Starcraft II, can run well. 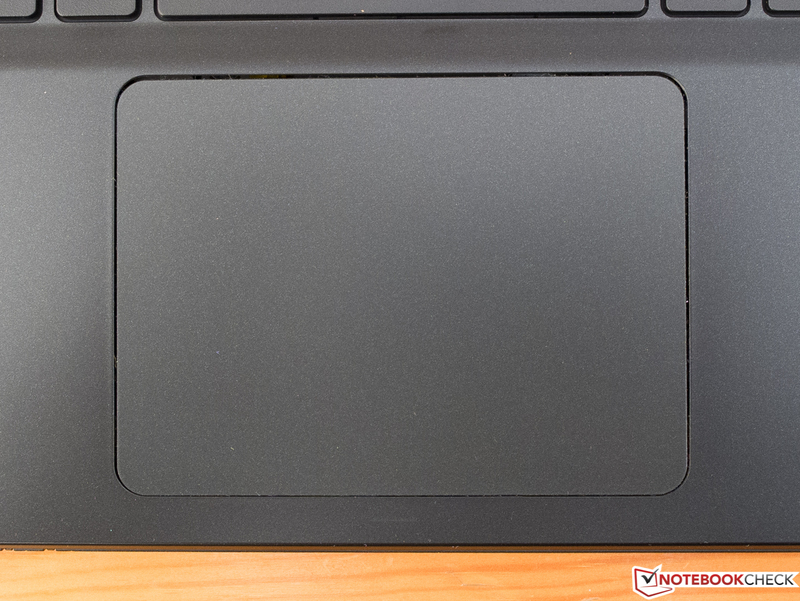 While idling or at low load, the laptop is comfortably warm, which fits to our measurements of 30 °C (~86 °F). Under load, the temperatures did not change much. 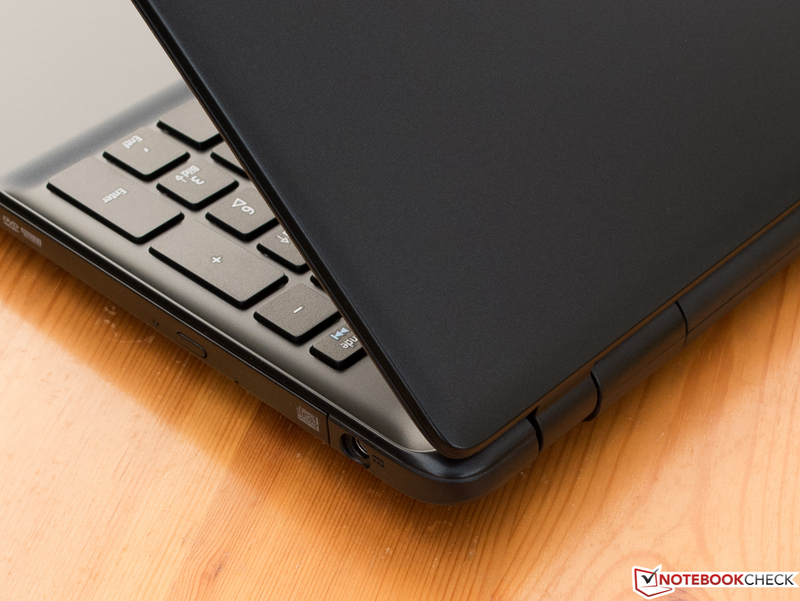 Thankfully, the ventilation opening is on the side which means the laptop can be used on the lap without any issues. 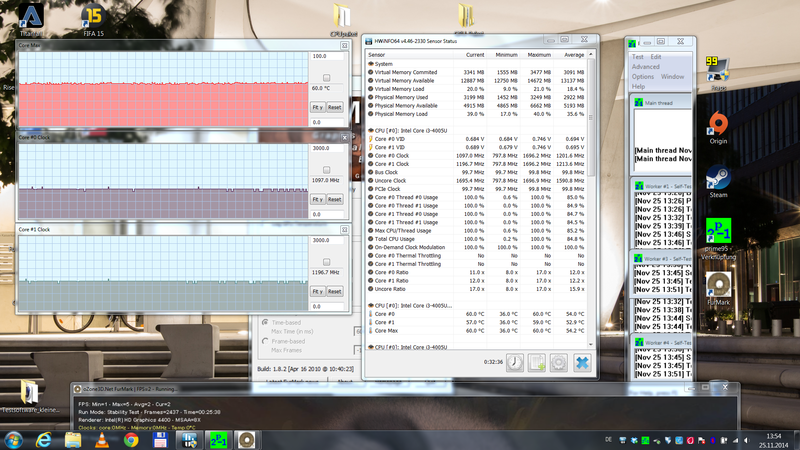 The stress test with Prime95 could not sway the Acer TravelMate which continues to run at 1.7 GHz. If the GPU stress test, FurMark, is run at the same time, then the CPU clock speed drops to 1.2 GHz. We never reached critical temperatures and the max lies at 60 °C (~140 °F). In battery mode we saw the same behavior. 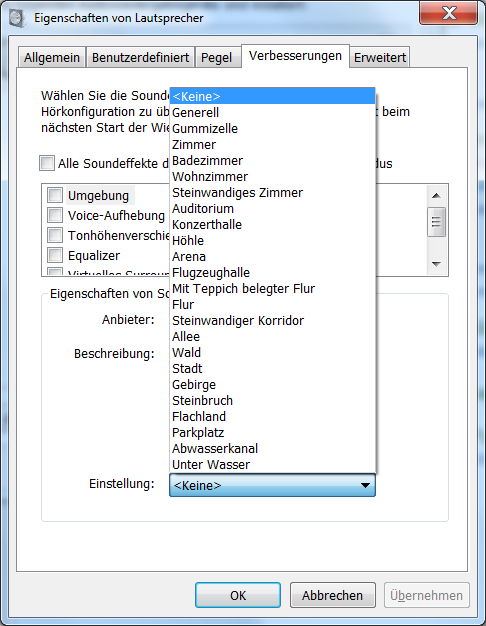 Music playback without driver tweaks (see screenshot) is possible on the TravelMate P256-M-39NG even at max volume and is sufficient for a medium-sized room without distortions. The sound is clear, speech in movies is understandable and instruments can be distinguished from one another. Unfortunately, the strong emphasis on middle notes prevent us from giving the speakers a good rating, but the speakers can be used occasionally. The test model is not very conservative in comparison to other office notebooks we tested in the past 12 months. 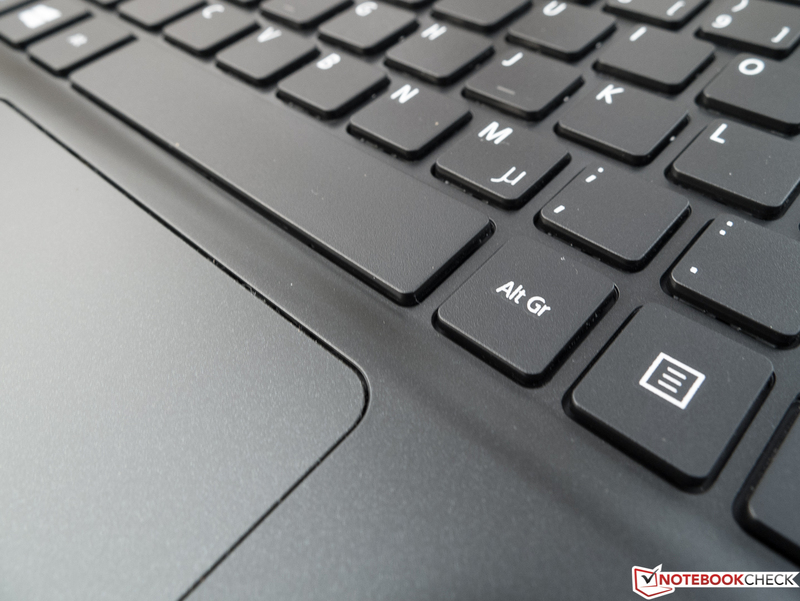 While idling, the power consumption is roughly 25% higher than that of a more powerful laptop, such as the HP ProBook 450 G1 with an Intel Core i7-4702MQ and HD 4600. At load, the consumption is a little more reasonable and the laptop lies a little below the class average of 29.1 Watts. In comparison, the conservative Lenovo B50-70 requires a mere 24.2 Watts at load despite having a dedicated graphics card, Radeon R5 M230, and the faster i5-4210U. Very nice: when turned off, the Acer (if at all) consumes little power. The provided 40-Watt power adapters can charge the laptop even at full load. If you want to watch DVDs while travelling, you can enjoy movies for up to 5 hours at max brightness and all wireless modules turned off. For most users, the practical WLAN test will be more interesting, For this test, we run a script which loads websites every 40 seconds at 150 cd/m². The TravelMate lasts over 6 hours and places amongst the top-third of office notebooks, which we tested in the last 12 months. 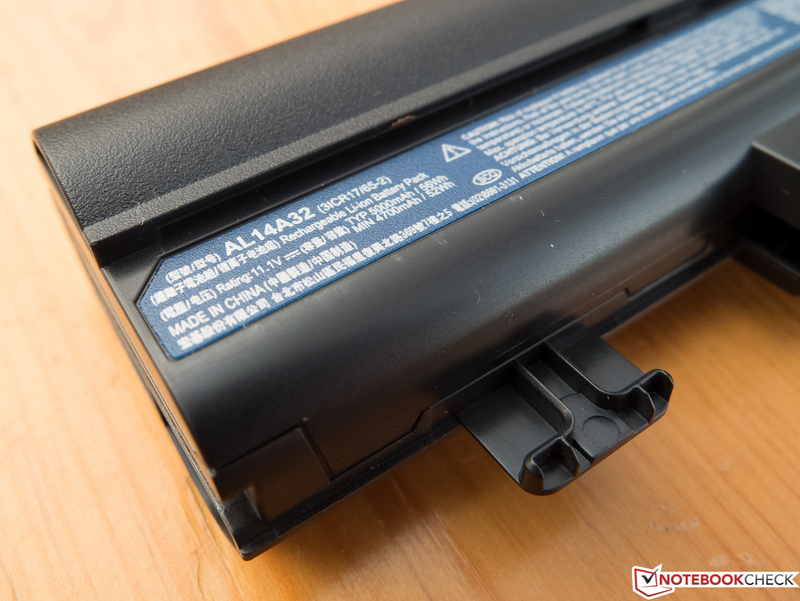 Many laptops which last longer, have heavier, larger capacity batteries. The test model performs just as well in the load and idle tests. 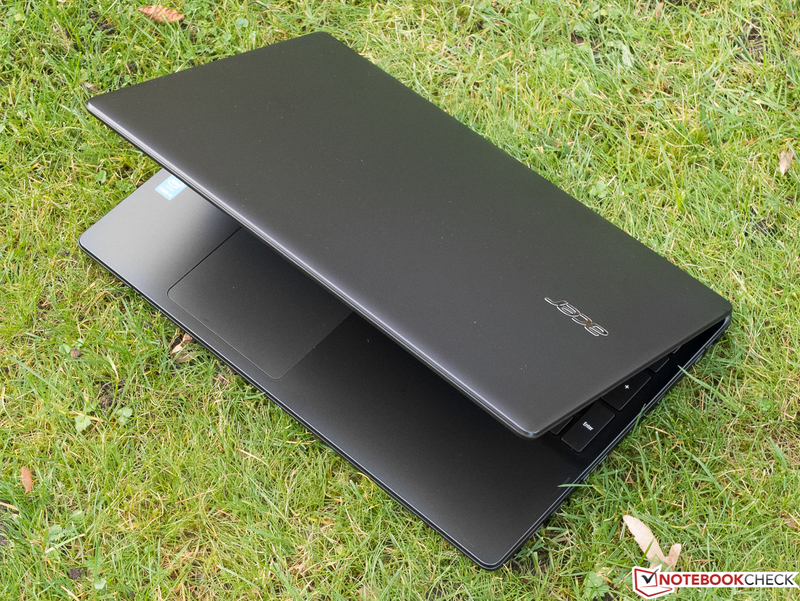 The two competitors, especially the Lenovo B50-70, cannot compete. 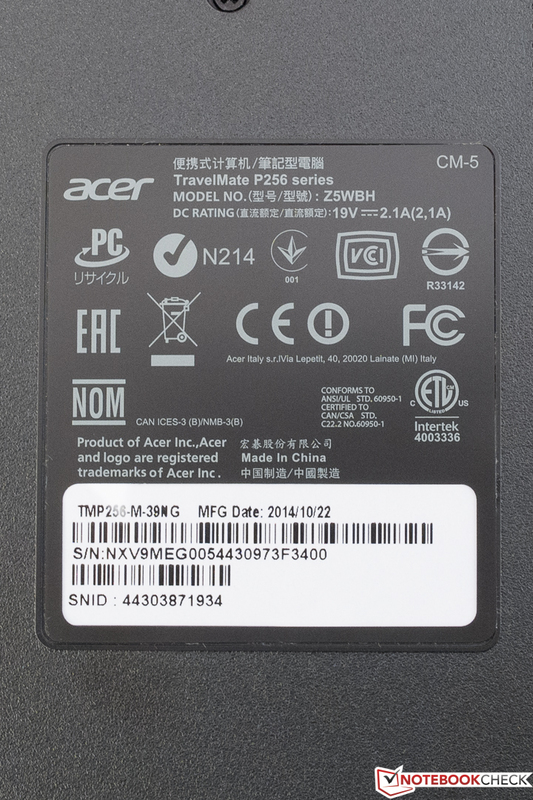 The Acer TravelMate P256-M-39NG is available for 600 Euros (~$748), which means it is maybe a 100 Euros (~$125) too expensive. The Full HD panel is not so amazing that we can justify an additional 200 Euros (~$250) for it, especially with weaknesses like poor viewing angle stability and saturation. This makes the laptop a less likely contender for multimedia use. 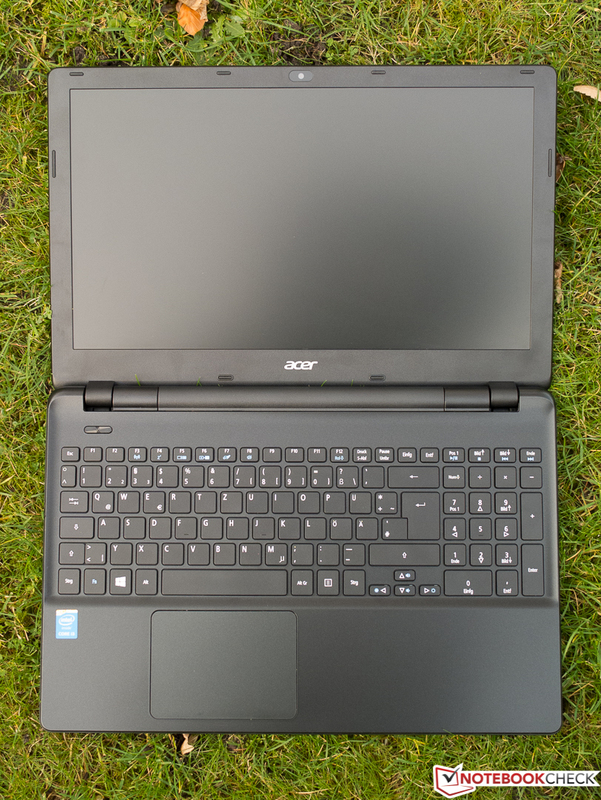 Acer shows care by providing two power adapters, but the maintenance is limited, due to the design of the laptop, to swapping out the battery. The test model offers good workmanship, operates fluidly in office use and stays cool and quiet. Its ergonomic input devices and long battery life are great features to have. If you are not in a hurry, we recommend waiting for a special deal on the laptop as the Full HD package with decent hardware it offers is good. ... on the illumination of the laptop. ... thanks to the clean design. The borders and bottom are textured. Stroke distance, pressure point and impact are good. Slightly rough keys with clear captions. 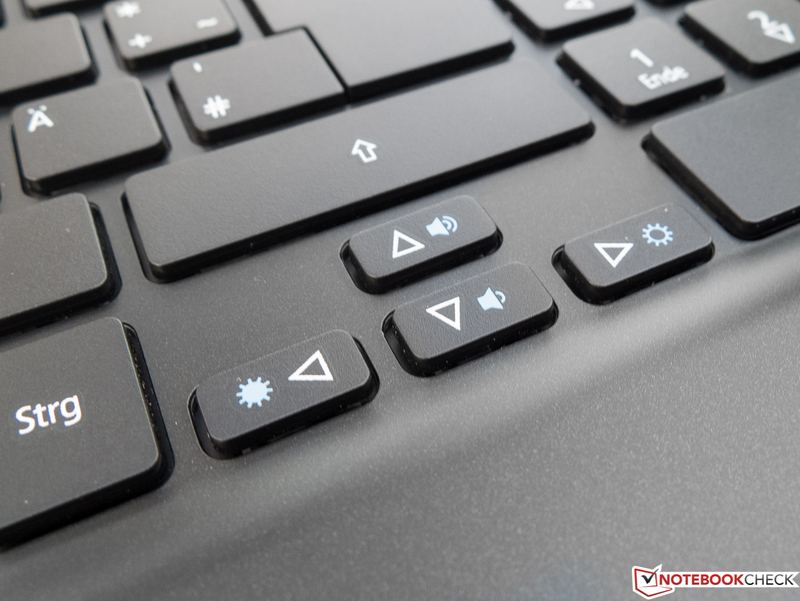 Secondary (Fn): brightness and volume controls are set to the cursor keys. Great: the cover can be opened up to 180°. The ventilation opening needs to push out little warm air. 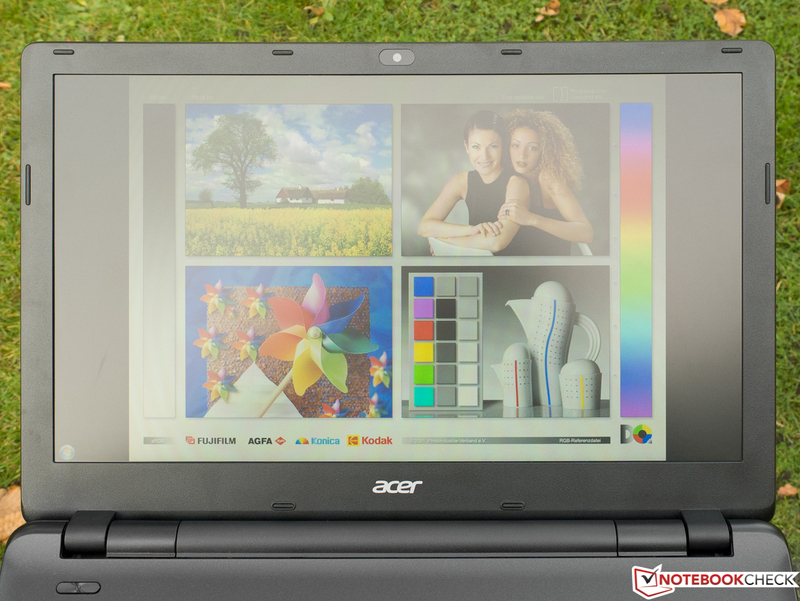 Acer offers a simple, solid Office and Multimedia notebook. Full HD is nice and good, but the other attributes of the panel are not as impressive. 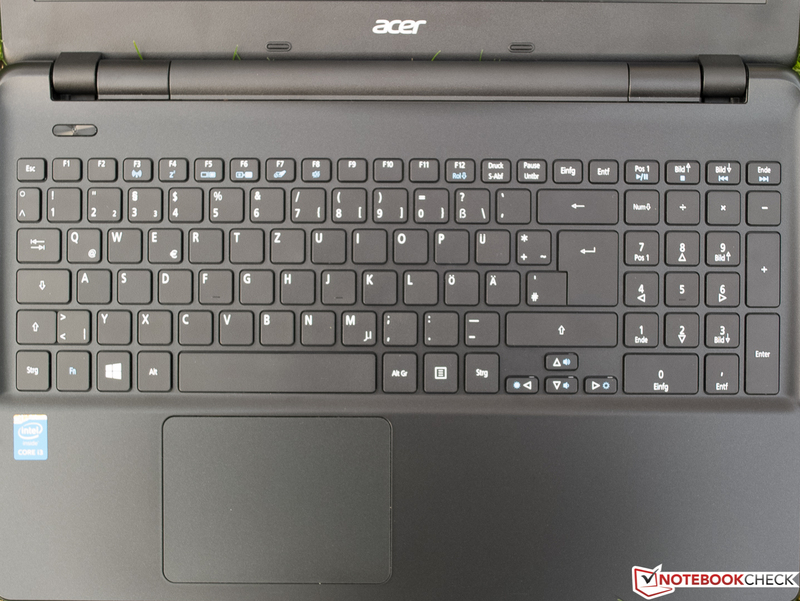 Acer has good workmanship quality even in cheaper notebooks.